Some of my favorite things here. Pineapples. I really love them. How they taste and what they represent. If you've hung around with us in the clubhouse, you know we have pineapples strewn about to decorate and add a touch of tropical to our work place. It's also a symbol of welcome, warmth and friendliness. All things that represent us at CPD. Geometric. I love me some geometric stamps! 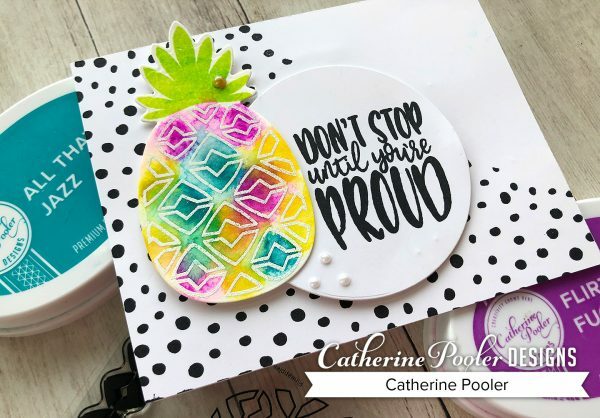 Embossing and Watercoloring. I love being able to emboss an image, throw some color on it, spritz with water then watch the magic happen. This gorgeousness turned out to look a whole lot like tie dye! Facebook Live. (and youtube live). I absolutely love live streaming. 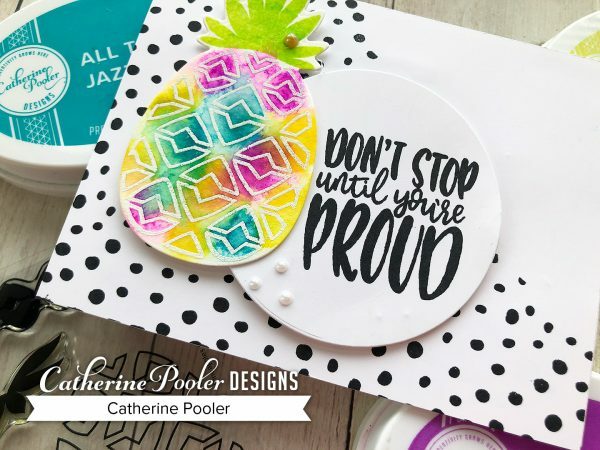 I get to hang out and chat with the many amazing people in ours stamping world, share what we are up to in the crafty arena AND I GET TO STAMP, Y'ALL! Here is the replay of my FB live from this afternoon…you never know what's going to happen live! You can also watch it over on FB. These new goodies, along with the rest of our new release is now in the shop! 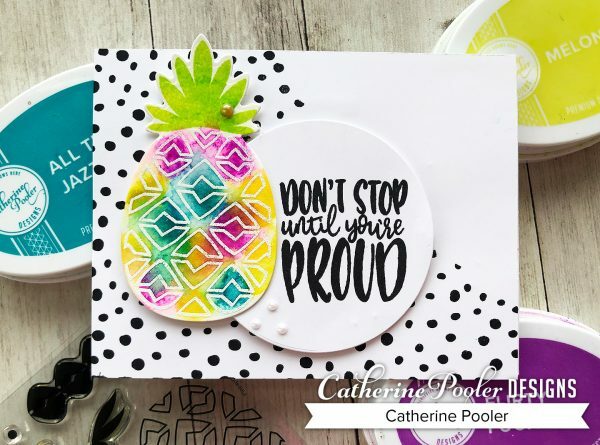 Head over to check out all the goodies and I'll see you tomorrow for the blog hop!